Immerse yourself in a restorative experience for body and mind, as the rising steam of the baths melds with the colours of the city. Feel the alternating heat and cold strengthen your immune system and eliminate toxins and stress from your body. Test your will in the heat of the sauna, then take a deep breath and jump into a bracingly cold waterfall. Rest for a bit as the soothing benefits of thermotherapy wash over you. 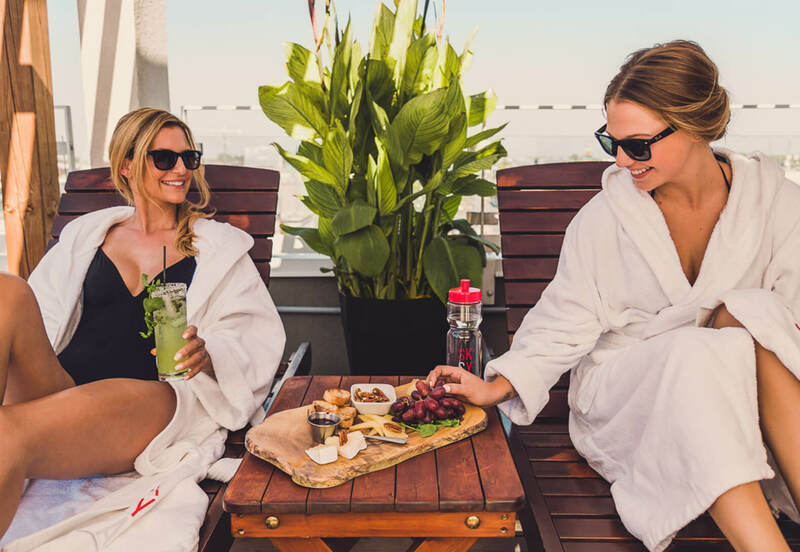 Enjoy the moment and the people you’re with as you lounge in our heated outdoor pool, and finish off your experience with a healthy meal. * No reservation required for the thermal experience. * The minimum age required to access spa facilities is 16.